While no longer the genuflecting type, my Catholic roots have kept a few traditions under my belt that I cherish in my Christian faith. 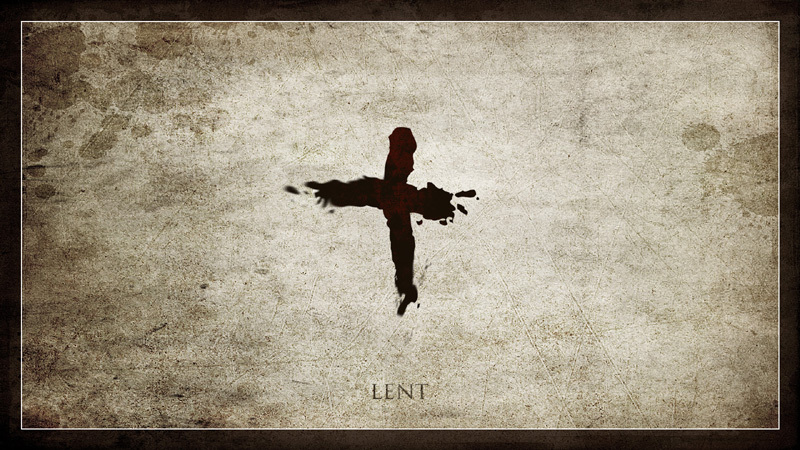 One of those is the season of Lent. I find it a beautiful time of starting over and ridding myself of the things that are warping my life. Much like the rest of the population has New Year’s Day to create resolutions, Lent is the perfect time to rid my life of everything that is bringing me down. It’s the time when I make my life more holy. Admittedly, diet is about to take a huge part of my Lenten fasting. Knowing I’m embarking on stricter food rules come Wednesday, I relaxed my regiment over the weekend. On Saturday I had a sandwich in a thick Dutch Crunch roll. I had not eaten bread in months. It was delicious, if not super filling. That night I enjoyed a dessert of King’s Cake in honor of Mardi Gras. The almondy taste was heavenly. Over the weekend I filled up on Ritz crackers. OMG. Ritz crackers are golden! I could eat those buttery loves all day long. And then last night I took a flour tortilla, filled it with refried beans, and then topped it with cheese. Dairy is another food item I have nixed from my diet in suspicions of being lactose intolerant. But nevertheless, I figured a little bit wouldn’t hurt. Today I am down for the count and have been a slave to the toilet for the past 3 hours. Damn you cheese. I fantasize about chocolate. I feel dumb when I go out to eat and can’t enjoy what everyone else is eating. I hate that I gain 5 pounds immediately when I stop eating “clean”, and it takes me weeks to lose it again. I think about food all the time. I suffer from food addictions. So yes, I am going to be making some changes for Lent, and am starting early today to give my tummy a break, as well as to fix some of the other areas in my life that are less than holy. 1. 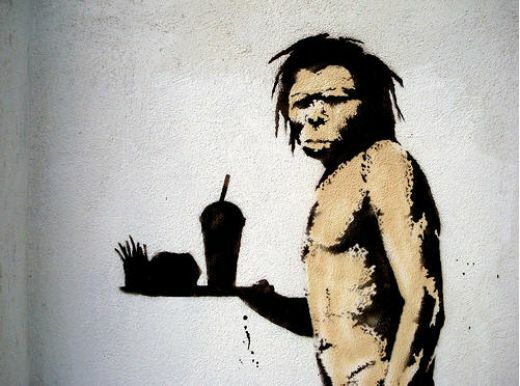 Diet: I am going back to my Paleo way of eating, but will be even stricter about it in the next 40+ days of Lent. I will allow beans in my diet (not considered Paleo), but am giving up corn and corn products, soybean, grains, and dairy – focusing my diet mainly on lean meats, fruits, vegetables, seeds, and nuts. I also plan on trying my best to stick to non-GMO foods (I am really scared at how genetically modified food has transformed the health of our society!). And buh-bye sugar. It’s been sweet knowing you. 2. Use my inside voice: I am raising a teenage daughter. I have not been very good at it. I find myself acting in ways I swore I never would. In the past few weeks we’ve gotten into at least two screaming matches. I said things I’m not proud of, and acted out in ways I’m ashamed of. If I were my daughter, I would want to move out of my house and in with my dad – just as she wants to do. I can’t blame her. So the first rule on this I am making for the next 40 days is that I am not allowed to raise my voice. If I feel the need to yell, I need to take a moment and think before speaking. It is my hope that this will also help me to pause and remember what it felt like in her shoes, and to not take everything so personally. And perhaps I can become the kind of parent I’d want to have if I had to (God forbid) relive my teenage years. 3. Make my phone “dumb”: Another addiction? My smart phone. I am attached to my iPhone, and have become dependent on it. Free time? Feeling lonely? Need to do something I don’t want to? My iPhone is right there to distract me and help me procrastinate, replace my need for actual socialization, and help me feel less awkward in times of discomfort. And it’s holding me back. I have a wedding to prepare for. I have a novel that will never be completed until I start editing it. I have kids who need my attention and a career I need to refind my passion for. And my smart phone is right there telling me that all of that can wait because I need to beat my high score on Bejeweled. I can use the Internet when I’m sitting at a computer. All other times, I don’t need to. So my iPhone is about to become really “dumb” and lose its internet abilities so it can be used only as a (gasp!) phone. One of the bridesmaid bouquets in the DIY wedding project I've imprisoned myself to. 4. 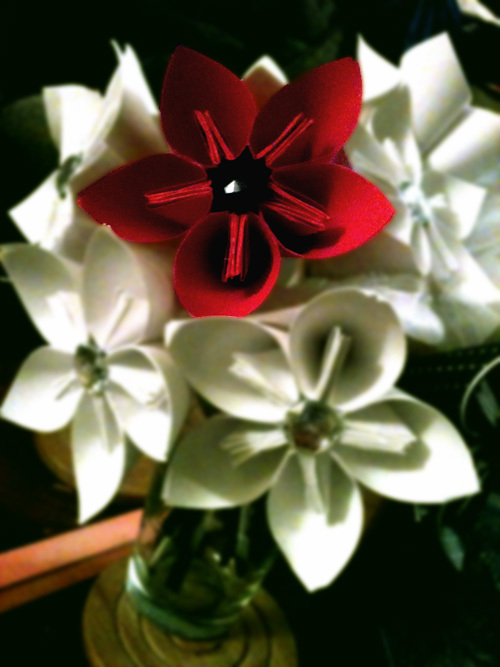 Wedded focus: I have a bunch of really cute DIY bouquets I’m creating instead of using real flowers. But they aren’t going to get done if I’m not doing them. By Easter, these bouquets are going to be finished. I also plan on finalizing the centerpieces, invitations, and have my dress ordered. Phew! 5. A novel idea: This step is tentative, and really hinges on whether I can get the steps in #4 done. But I need to work on my book. I’ve written it, and marked it up with a red pen after re-reading it twice. But I am scared to make any changes. I need to step over my fear of altering it and dive right in. After all, what if my procrastination is depriving the world of the next NY Times Bestseller? 6. Pray. Pray like there’s no tomorrow. Pray like there is a tomorrow. Use this time of Lent to remember to lean on God when times get heavy, when parenting hurts the most, when going to work feels like heading to my execution, when I’m scared to talk to people, when every day feels like a repeat of the last, when life seems bleak, when friends feel far away, when I feel fat and ugly, when I’ve lost my purpose, when time seems too fast, when the clock seems at a standstill, when unfairness rears its ugly head, when I’m overwhelmed, when I don’t know what to do with myself…. And pray when I remember all that God has blessed me with in the hurdles he’s helped me overcome. And perhaps some of this might become lifelong habits long after Lent has ended. Previous PostWhatever.Next PostDon’t FREAK out.